The legendary attacking player of the 20th century Roberto Baggio has gone down in the world’s soccer history not only for his victories but also spectacular games. The player number 10 used to be the second striker but also could switch to the attacking midfielder’s functions. For 30 years of his career, he scored more than 300 goals, had five team titles, and won Ballon d'Or in 1993. Besides, Baggio is the key figure in the history of the Italian national team’s unbelievable bad luck in penalties during the final games of international competitions. Three times, the national team had to take only one step to the victory; three times, penalties played the decisive role; three times, Italian players including Roberto missed. 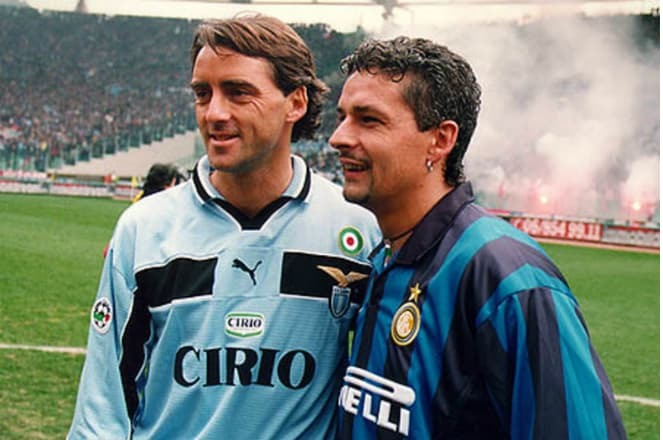 However, such failures only added colors in Baggio’s career: he is one of the most memorable sportsmen of the past century. 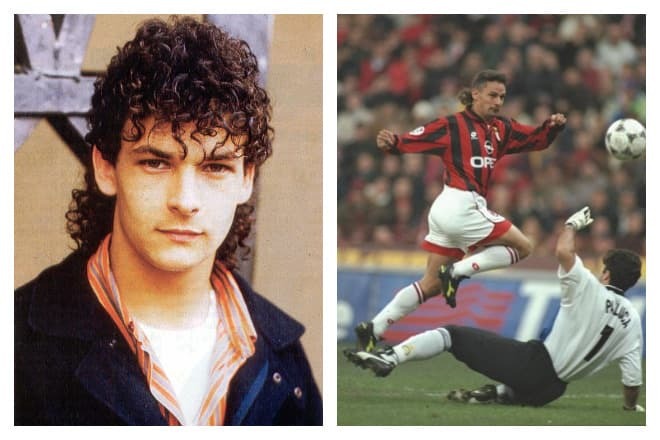 Roberto Baggio was born in the Italian town Caldogno on February 18, 1967. There were eight sons in the family. 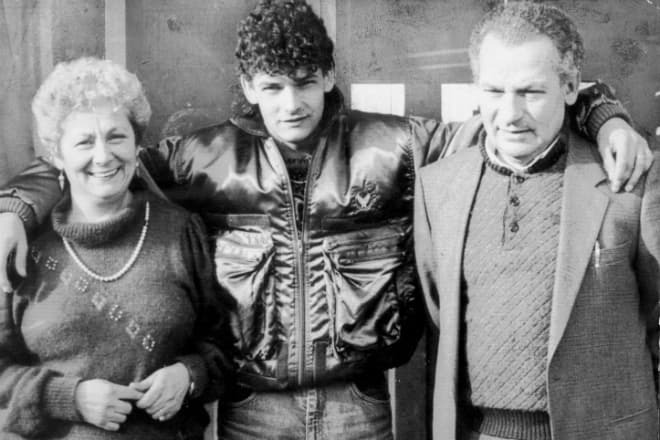 Soccer played a special role there; the boy liked the game since the early childhood and played for the local youth team Caldogno since seven. At that time, Baggio’s talent manifested itself: at 13, Roberto scored six goals. The result was so impressive that the scout of Vicenza offered the teenager to move to the capital of the province. 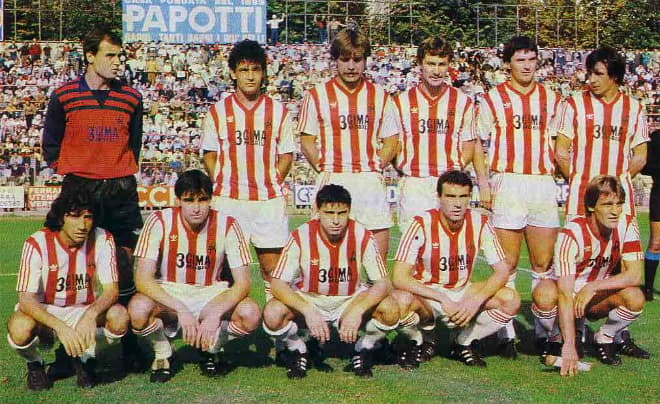 The young man played two seasons for the Vicenza youth team; since 1982, he joined the adult team. Throughout three seasons in Vicenza, Baggio scored 13 goals that helped him present himself in the world of sports. In 1985, the transfer to Fiorentina took place; the transfer cost was ₤3 million. One of the first practices could have made an end to the promising player’s career: the ligament and knee meniscus injuries gave the club administration the opportunity to cancel the contract. Instead, the President of Fiorentina found better doctors who managed to cure the sportsman. Baggio played for the club two years after signing the contract, and the results were good: his goal was crucial. Thanks to the new team member, Fiorentina kept its position in Series A which was vital for the club and fans. In the second half of the 1980s, the club was undergoing many challenges. For five years, seven mentors were appointed the head coach, but no trophies were gained. However, Fiorentina fans liked Roberto’s performance. In 1990, Baggio’s participation in the World Cup in Italy increased people’s love. Italy won all matches of the group stage, defeated Uruguay and Ireland in the play-off, and faced Argentina in the semi-final. The score was 1:1, and the penalty series followed. Baggio’s kick was good, but the Argentinian goalkeeper protected the gate. In the match for the third place, Italy defeated England. 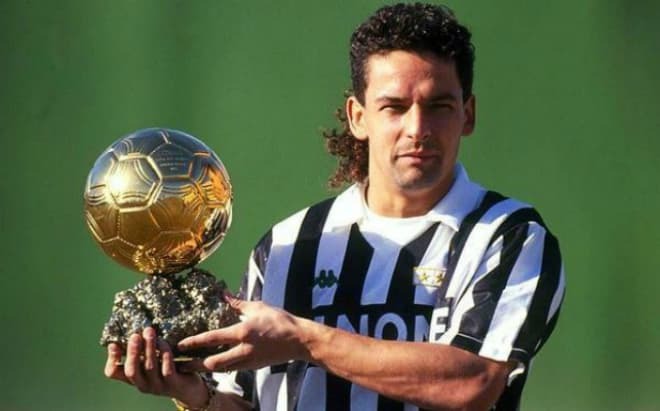 In 1990, Juventus bought Roberto Baggio; the transfer coast was recording: ₤25 billion. Baggio was the member of the Bianconeri’s first eleven in almost all games. Following the results of five seasons, the player had 141 matches and scored 78 goals (out of 218 goals in the overall career). In 1993, Baggio and Juventus won the UEFA Europa League; the player was also awarded Ballon d'Or and FIFA World Player of the Year. With this fascinating triumph, the events of 1994 were particularly dramatic. Baggio played for the national team in the 1994 FIFA World Cup. Italy reached the final and played with the Brazilian national team. The fan of the Latino-American player Zico, Roberto had been dreaming of this game for many years. Again, there was a draw, and penalties followed. Baggio was to kick the fifth penalty which was the decisive moment of the whole championship. The ball went over the opponent’s gate bar. In the 2000s and 2010s, Baggio remembered his mistake in his interviews. The Italian media was crushing Baggio. However, the player had enough strength to overcome the defeat and move on. The next season helped him rehabilitate: Juventus won Serie A and Coppa Italia. Because of the conflict with the head coach Marcello Lippi, the player left Juventus. Baggio had a successful season in Milan: the team won in Series A. later, Roberto transferred to Bologna. The pressure was intensive; the player had 30 games and scored 22 goals. Due to his good results and hard work, Baggio was included in the first eleven of the national team and played his third World Cup. At that time, Italy reached the quarterfinal. The host team, the golden generation of the French soccer led by Didier Deschamps and Zinedine Zidane fought to the last. For the third time, the fate of the Italian team was determined by the penalty. Baggio kicked the first, and his goal evened the score after Zidane’s kick. Di Biagio hit the bar. 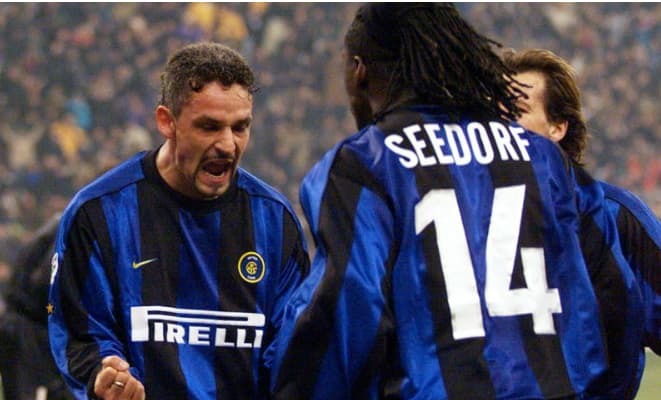 After the World Cup, Baggio played in Inter for two seasons and scored 15 goals some of which led the team to the Champions League. In a while, Marcello Lippi became the coach in Inter, and Roberto who was kicked out of the first eleven left for the Series B club Brescia. Baggio did not take part in the FIFA World Cup 2002: the coaching staff decided the team would go well without him. The Italians could not qualify from the group: they lost to Croatia and had a draw with Mexico. In April 2004, Baggio played his last match for the national team against Spain. In May, he played the last game for Brescia and announced he finished his career. The player’s wife’s name is Andreina Fabbi. In 1990, their daughter Valentina was born; four years later, her brother Mattia was born. The family’s third child Leonardo was born in 2005. The legendary player released his autobiography “A Goal in the Sky” or “A Door in the Sky” in the English translation. Unlike his compatriots, Baggio is a Buddhist. His nickname “the divine ponytail” is connected with the sportsman’s religious beliefs and hairstyle. Baggio’s height is 174 cm., and his weight is 73 kg. Sometimes, Roberto is mixed with his namesake, the Italian halfback Dino Baggio. Roberto Baggio has learned expert coaching; he has a license that gives him the right to train soccer teams. Still, the former player has not done that yet; today, he is engaged in charity work. In his opinion, Domenico Berardi and Lionel Messi are the outstanding players of the modern times. Baggio is not registered in social networks, but there are Instagram fan pages where enthusiasts post photos from the player’s games. From 2007, the sportsman had the official website where he communicated with his fans, but the last update was in 2014. In recent interviews, Baggio said he had stopped playing soccer with children because of old injuries.